Photo: Jez Bond, Artistic Director, Park Theatre. Photograph by Piers Foley. Jez Bond is the founding artistic director of North London’s Park Theatre: the man who, at the start of the decade, spearheaded the scheme to transform a disused Finsbury Park office block into a state-of-the-art performance venue. Now, the Park Theatre is recognised as one of London’s most elegant and inspiring off-West End theatres, with a string of critically acclaimed hit shows under its belt. As the theatre celebrates its fifth birthday, he directs the UK premiere of Building the Wall from Pulitzer Prize and Tony Award winning playwright Robert Schenkkan. 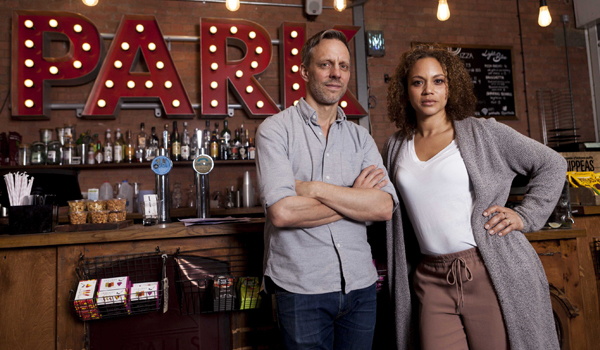 Starring Angela Griffin (Lewis, Brief Encounters, Ordinary Lies) and Trevor White (The Durrells, Dark Knight Rises, Jason Bourne films) the play centres on an interview given by a white working class prison officer, now incarcerated himself, to an African American historian. It is, according to Schenkkan, set in ‘a not so distant time to come in which President Trump’s rhetoric has found its full expression’. Amber Massie-Blomfield catches up with Bond to find out more. Amber Massie-Blomfield: Building the Wall is about 'what happens when an ordinary person becomes a cog in a regime', and, as the name suggests, presents a speculative take on the consequences of Donald Trump's administration. Can you tell us more about what audiences can expect from the play, and why you've decided to stage it? Jez Bond: It’s not every day that you get to the end of reading a play filled with an overwhelming need to stage it: but in the case of Building The Wall I knew this had to happen before I turned the final page. I’ve always been engaged by theatre that tells a story, rather than theatre than simply presents ideas in an abstract form. The story in this play unfolds with great craft over a punchy ninety minutes in real time. Furthermore I believe a play works best when it moves an audience in some way (whether to tears or to laughter) and challenges them. In this powerful play, the audience are asked to confront a reality that’s so credible and astonishing that as the lights plunge to black at the end I imagine they’ll gasp before carrying the debate off into their own spheres. And of course that’s the other thing about theatre, surely – to examine and discuss the important issues of our day. Amber: Why do you think this play about the American political landscape is important for British audiences to experience? Jez: This play – like all great plays – is not just about one country or one group of people; it’s an exploration of so much more. On one level it’s about people, society, personal and collective responsibility, history… But in terms of the specific politics it’s also – and perhaps most crucially – a comment on the current wave of right wing policies sweeping through Europe and beyond. The reality is that the events in this play could have happened in a number of other countries: and they still might. That is the absolute horror that we’re faced with at the end of the play – unless, of course, we can learn from history. Photo: Cast members for Building The Wall, Angela Griffin (Lewis, Brief Encounters, Ordinary Lies) and Trevor White (The Durrells, Dark Knight Rises, Jason Bourne films). Photograph by Tomas Turpie. Amber: As a British director what challenges have you faced in bringing a play so rooted in American culture and politics to the stage? Jez: I think I’ve somewhat answered that within the answer to the previous question – in the sense that the purpose of this play, and its message, is not isolated to an American context. Certainly Robert (the playwright) and I have made a few script changes for this production, but that’s as much to do with updating the play (just over a year on) to ring true to the current political situation as it is executing some minor language tweaks for an English audience. Whilst the play is set in America and we are researching various elements of this in order to represent the truth of the world (for example what a convict at this type of prison facility would wear), I don’t see it in any way as specifically American in its themes. In fact it’s remarkable that this critically acclaimed, powerful play which has had no less than seventy five productions staged in the United States had not yet been presented in the UK. 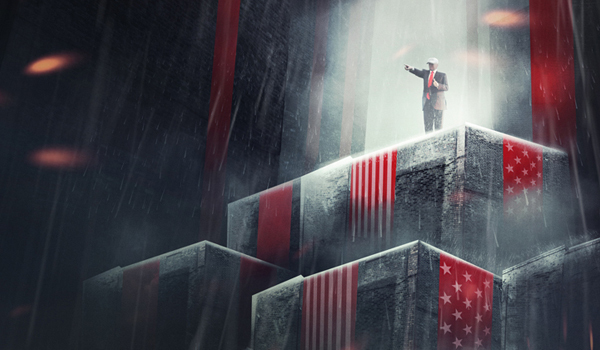 Image: Artwork for Building The Wall, by Feast Creative. Amber: Playwright Robert Schenkkan wrote the play in just one week after Trump's election, and has said 'we cannot hope to be useful if we can't respond until 18 months after the fact'. What do you believe is the responsibility of theatre artists in engaging with contemporary politics, and is the British theatre sector currently doing enough? Jez: The first responsibility for professional theatre is that is has to be good. Whilst on first reflection that might appear a rather wishy-washy statement, I believe it’s absolutely fundamental. For if you’re trying to engage someone, no matter what the subject matter is, the quality of the work is vital. Can you imagine anyone seeing a piece of theatre for the first time coming back for a second time if they thought what they’d seen was poor quality? More likely they’d return if what they saw was excellent but didn’t raise any awareness of a particular social issue. So that’s the starting point for us when we choose plays: excellent theatre first and foremost. Then of course the next thing on the list is ‘why this play now?’; and I’m certainly not stating that all theatre we programme falls into this category, or that there’s anything wrong with a play that simply gives you a good night out (god knows we all need that side of things too, particularly in the current climate) but more often than not theatre’s craft enables theatre makers to explore the issues of the day that are important to them and important to society. I do believe that theatre has a responsibility to do this: and it’s always been a melting pot of ideas and debate. Interestingly we’ve often seen that it’s at times of greatest hardship when new writing has risen up. From my point of view as Artistic Director of Park Theatre, the British theatre sector is very much alive and constantly engaging in debate: across our two spaces the majority of our plays this next season tackle important issues ranging from mental health to female genital mutilation to politics and dementia. Amber: Which politically engaged plays have had the greatest impact on you and why? Jez: One play which sticks out is the Royal Court production of The Nether, which tackled an important and highly emotive subject and (like this play) takes place in a future that’s possibly just around the corner. More recently I was highly engaged by Oslo in the West End, which looked at an incredible moment in history that took place entirely behind closed doors. And, as I have alluded to before, the thing about history is that it can teach us so much about the present and the future – though sadly, more often than not it seems, that we have learned very little. Amber: The production marks the 5th anniversary of Park Theatre's opening, and you'll be hosting a 5th Birthday Gala performance of the show. What are your proudest achievements of the last five years? 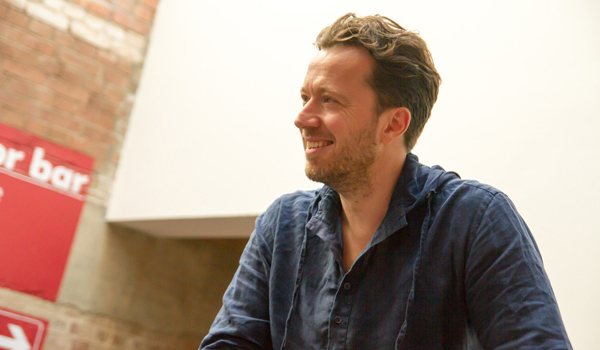 Jez: There are many things to celebrate – and the first is just how collaborative theatre can be. It’s truly a team sport and we wouldn’t have been able to achieve anything without an immense amount of support both from our local residents, the industry and of course all of our wonderful, hard-working and passionate staff. In terms of the work on stage there have been a number of highlights. Our first show, a highly powerful piece, These Shining Lives has a special place in my heart, as does Daytona starring Maureen Lipman which gave us our first West End transfer. Personally it was a delight to work with Ian McKellen who so generously gave his time for an incredible week of fundraising shows last year. But it's easy just to mention the glamour. In fact I gain as much pleasure from the little things: from walking into the building in the morning seeing the cafe bar buzzing with people having meetings and writing away on their laptops, from spotting familiar patrons walking into the theatre again and again and saying hello, from seeing the effects of the Creative Learning work that we do with the community, from inviting people from the local council estates and schools to the theatre for the first time and soaking in their reactions. Amber: And what do you want to get done in the next five? Jez: So much – and we’ve laid it all out in our Five Year Business Plan which, as an organisation, we are all working towards with clear objectives. These include building financial stability, increasing our reserves, increasing BAME diversity and gender balance and producing more in-house shows (we do a mixture of purely in-house, like Building The Wall, co-productions and shows with guest producers). Amber: Finally, if you were president for the day, what would be the first new law you would pass? Jez: If I was the President for a day I would address the gun laws – and in this hypothetical world it would all work and be sorted within 24-hours. Obviously that’s not a reality! However let me respond with a proposition closer to home: if I were the Prime Minister. Then I would introduce a small financial contribution from the individual for NHS services. This would be directly linked to income, either based on new income brackets created (or perhaps existing tax brackets) or as a percentage of one’s means. There would be no fee at all to pay (i.e. the same as the current model) for those on benefits or lower incomes, such as workers on the minimum wage. However for those earning in excess there would be. An annual salary of £30,000 might, for example, mean you paid, say, £100 towards an operation whereas someone earning £100,000 might pay £1,000. This method (which incidentally is successfully in place in Norway – a historically socialist country) would bring in a much-needed injection of money into the NHS and result in a better service for everyone – perhaps ultimately bringing down the perceived need by many to obtain health insurance and/or seek private medical assistance. I’d rather spend money by contributing to the NHS, and would be very happy pay based on my means. There’s really no downside.